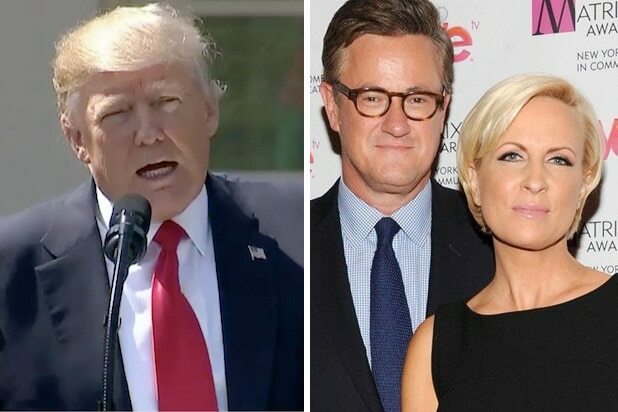 MSNBC’s “Morning Joe” guest Rick Tyler suggested that President Trump should be on suicide watch because of recent poll numbers during Tuesday’s show. The panel discussed a new CNN poll that shows Trump’s approval rating has dropped six points since April and now sits at 38 percent, while 56 percent do not approve of the job he’s doing. Tyler, who is a former Ted Cruz campaign spokesperson, had harsh words for the president. “If I were a political consultant looking at a candidate who had these kind of numbers, I’d have him on 24-hour suicide watch,” Tyler said. The panel mocked Trump’s recent claims that his base is stronger than ever, pointing to 63 percent of the population saying they were not proud to have the former reality TV star as president. Co-host Joe Scarborough said the “base is eroding” and reminded viewers that he recently criticized important primary state New Hampshire during a phone call that was leaked to the media. “All of these numbers look pretty tough,” Scarborough said.